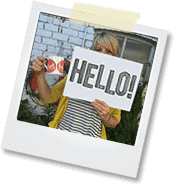 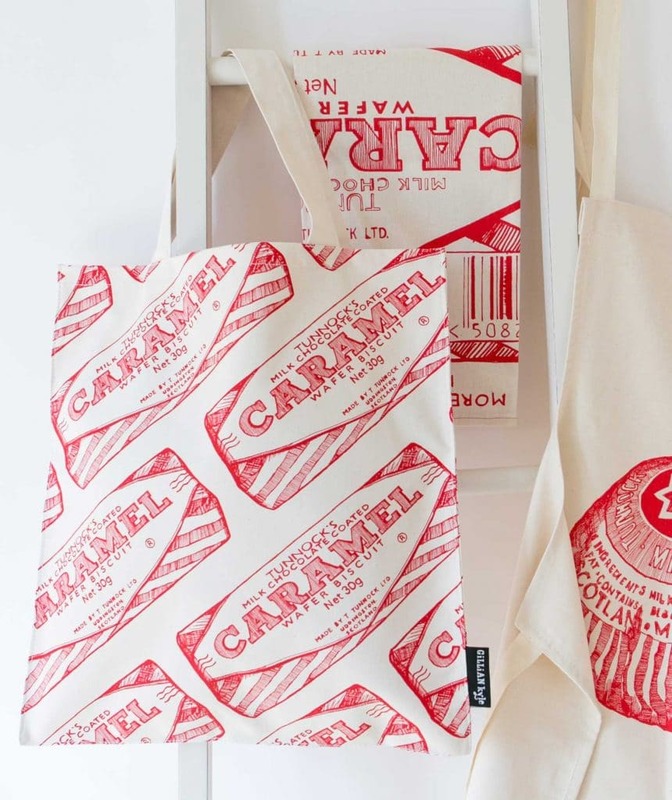 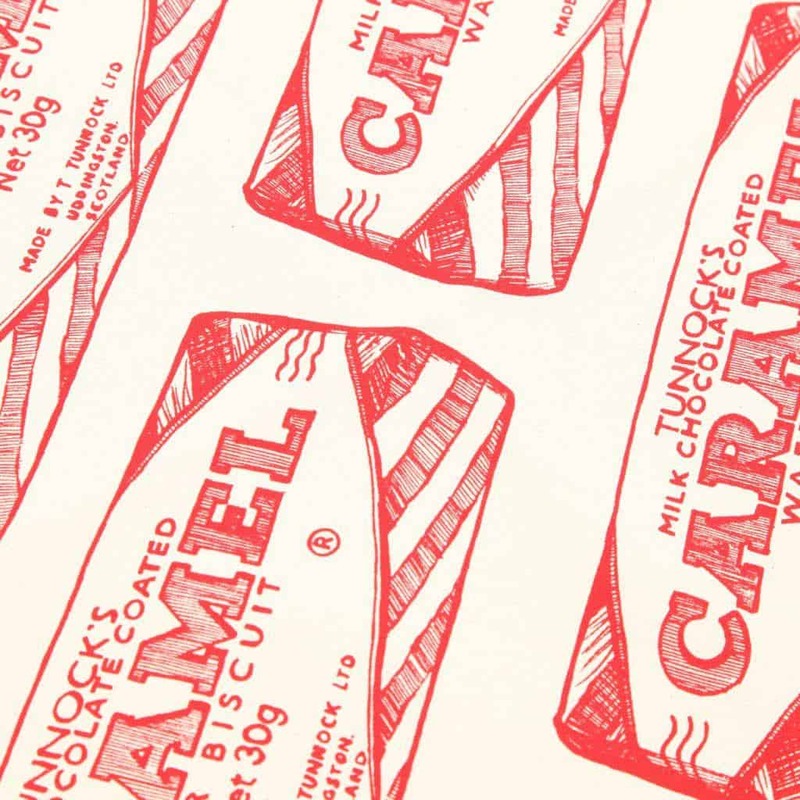 This design celebrates the world famous Scottish biscuit – invented back in the early 50’s by Mr Tunnock himself. Tunnocks Caramel Wafer is described as a national treat and I couldn’t agree more! This tote bag is perfect for biscuit lovers – and makes a really unusual – quirky Scottish gift too. 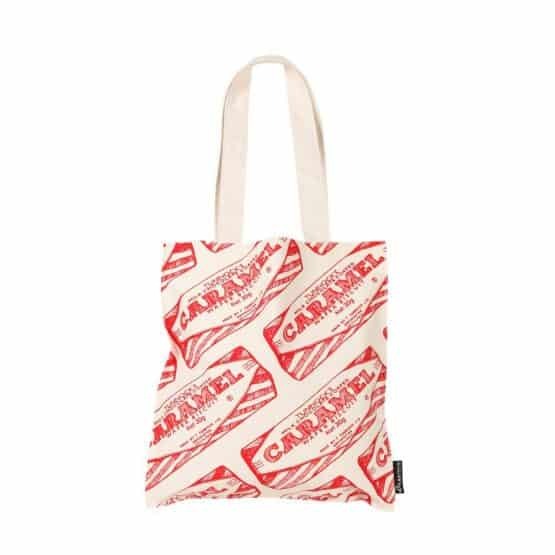 Use it for the messages – carrying your lunch to work – schoolbooks or even your gym stuff – its really useful bag and the lovely bright red will add a wee dash of colour to your day. 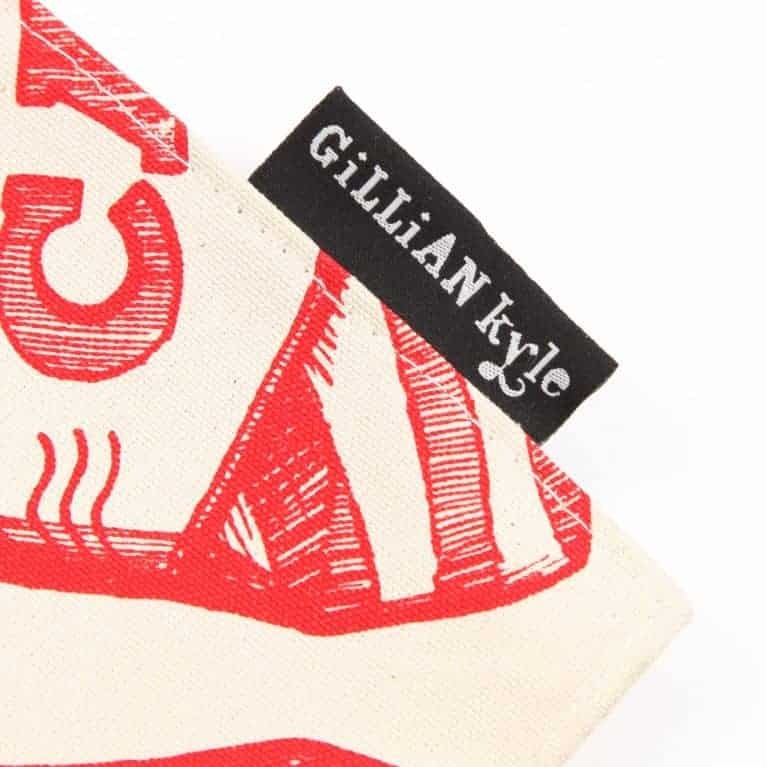 A premium tote in durable -lightweight cotton, screen printed in bright ‘Tunnocks’ red. The handles are an ideal length for carrying by your side and the bag measures 40 x 43 cm (16 x 17 inches). Its strong & reliable – yet folds away neatly when not being used. This tote bag has been carefully handmade from beginning to end in the UK by a small – family business that takes pride in every product that they make for us.